I love Chicken Cordon Bleu, but absolutely hate the work that goes into making them. Call me lazy, but I want the flavor of it, without all of the work. 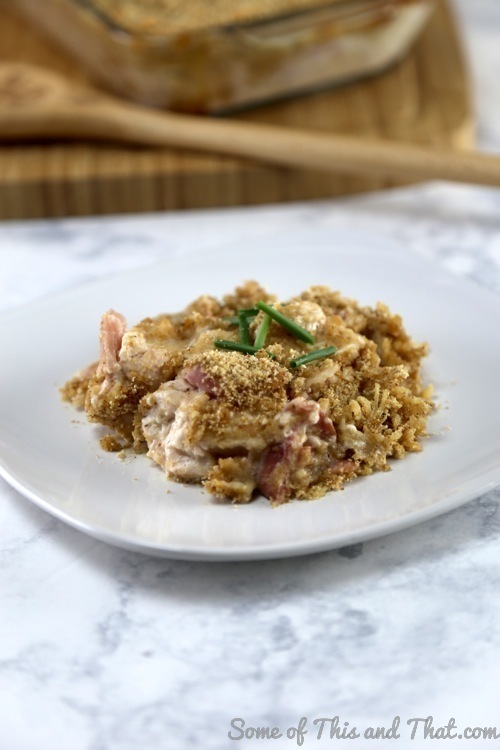 That is why I love this Chicken Cordon Bleu Casserole recipe, the yummy flavor without all of the hassle. Since I have a ton of ham leftover from another dinner, I decided this would be the perfect meal to use up those leftovers. Plus, I have a ton of Zaycon chicken left in my freezer, so I kill two birds with one stone. You can use leftover ham, or left over chicken, or both or neither. 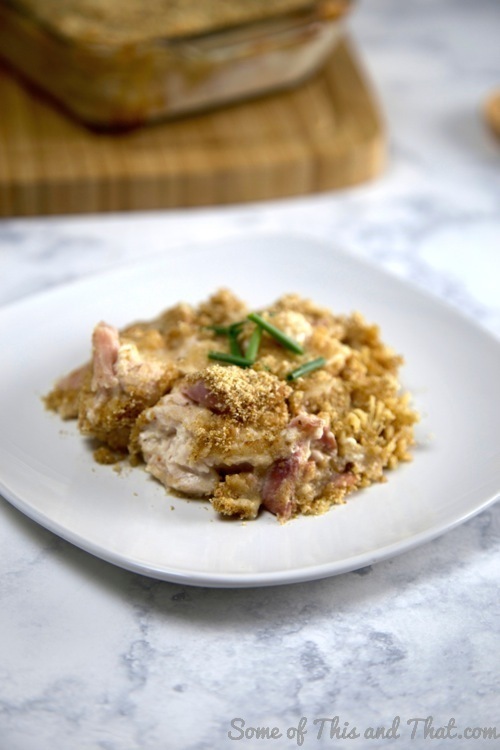 All you need to do is cut up some chicken breast, or if using left over chicken, shred it…. 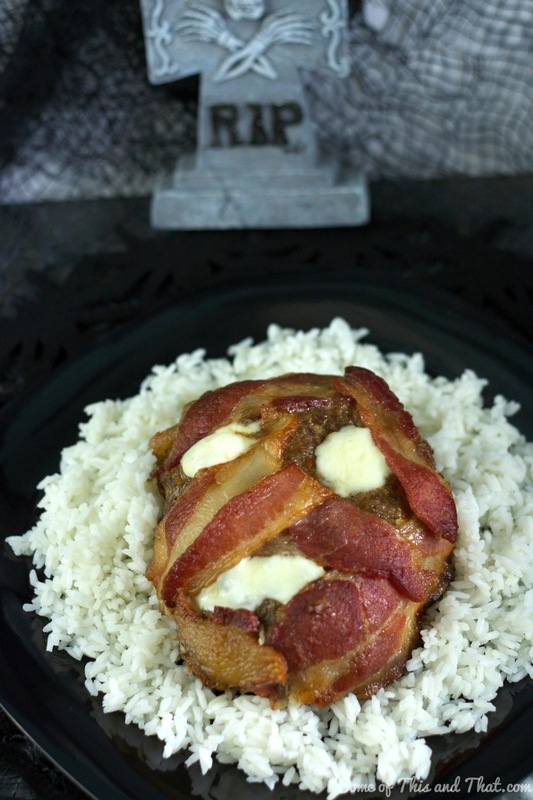 Cover the chicken up in some yummy ham…. 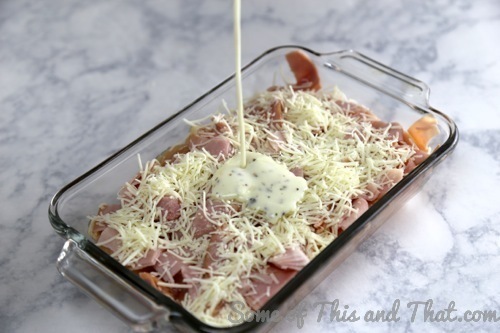 Cover up the ham in some shredded swiss cheese, or you can use sliced if you prefer…. 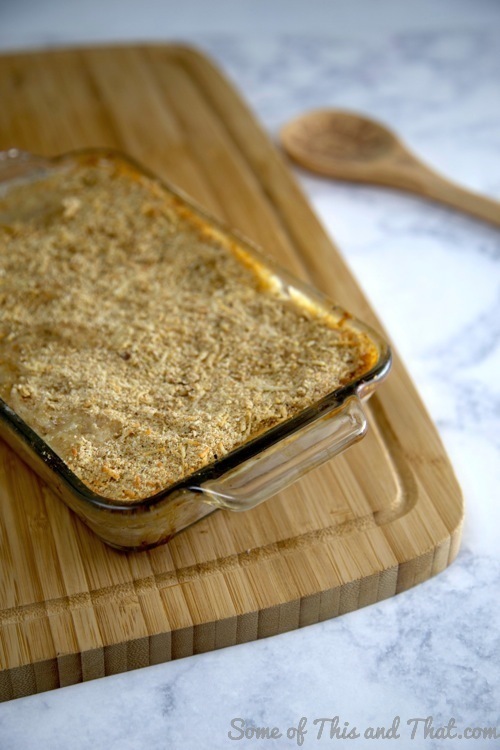 Create a quick béchamel sauce, which sounds fancy, but is really easy and pour it on…. Then, finally top with a bread crumb topping and bake! 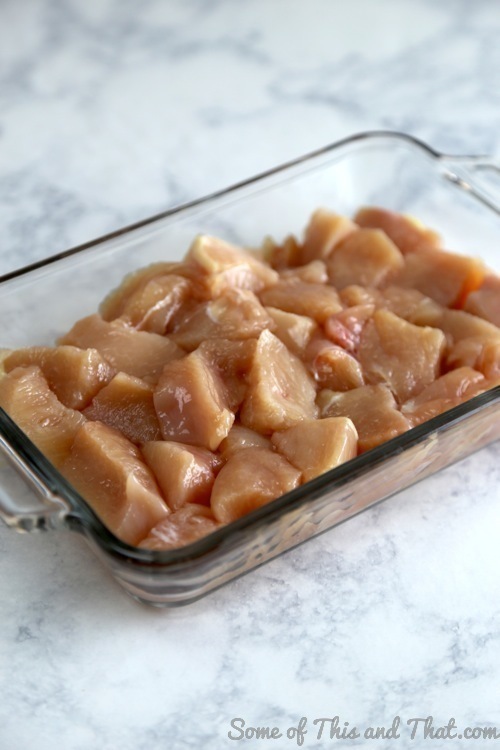 Baking times will differ depending on if you are using raw chicken verses leftover chicken, but the results are the same. A juicy chicken with a creamy and cheesy sauce. Another note is you want to be mindful of the amount of salt you use. 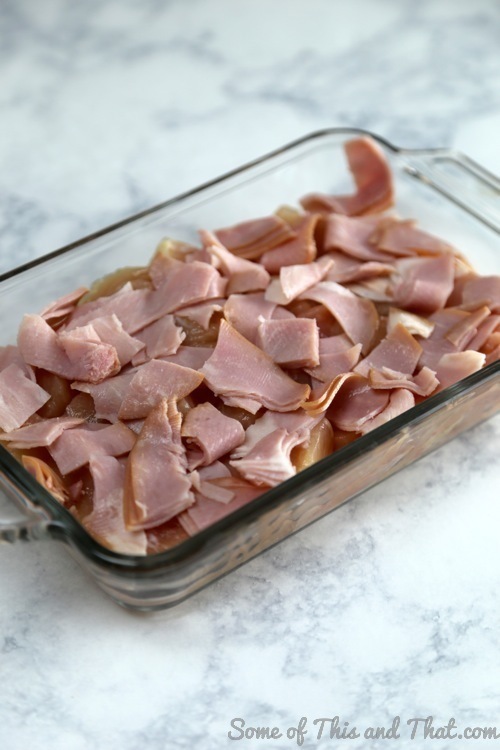 If your ham is rather salty on its own, you will not want to add as much salt to the sauce. Preheat oven to 350 degrees and grease or butter a 9- x 13-inch baking dish. Set aside. 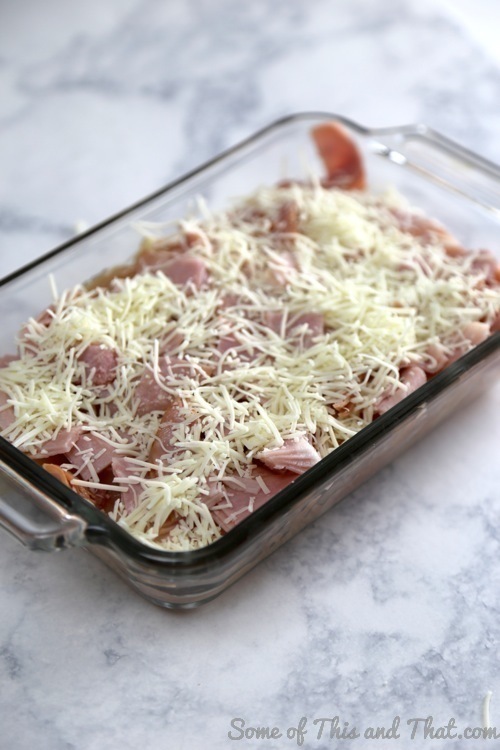 Layer the chicken on the bottom of the dish and cover with ham and then cheese. In a large sauce pan over medium heat, melt butter completely. Add in flour and whisk until smooth. Do not over cook, if the roux is starting to darken, remove from heat. Add in milk and continue to whisk until sauce is smooth. Stir in dijon mustard, salt and pepper and bring to a boil and then remove from heat. Pour sauce over the casserole, ensuring it gets into the corners and covers the entire bottom the dish. Melt butter over medium heat and stir in bread crumbs and salt and pepper. Sprinkle over the casserole until completely covered. Allow to cool for 5 minutes before serving. What is better than meatloaf? 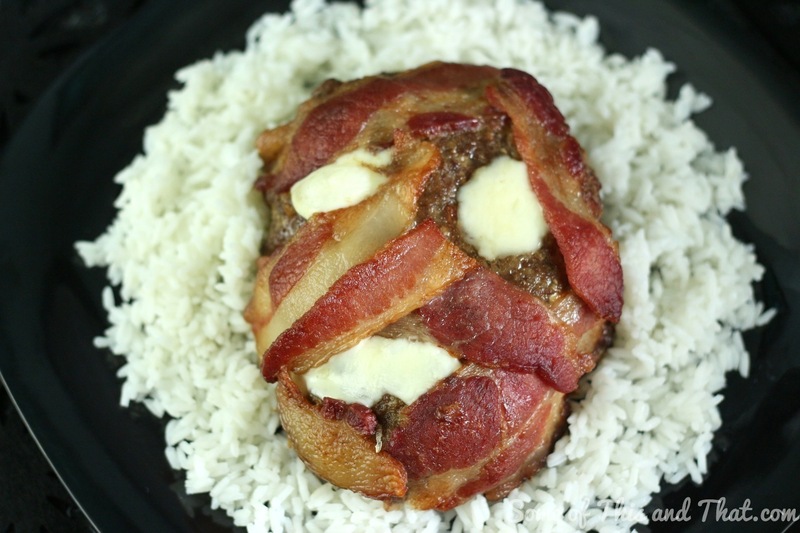 How about Monster Meatloaf covered in BACON! 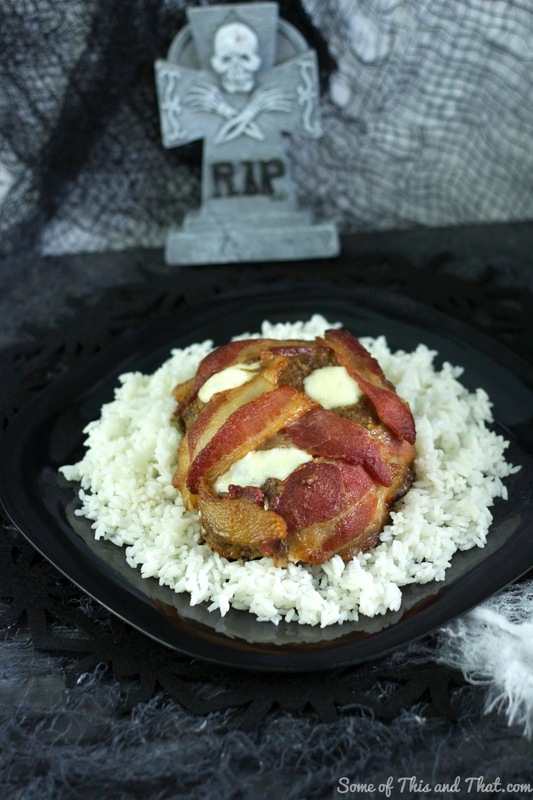 Serve it over a bed of maggots and you have a creepy good meal that the whole family will enjoy! Halloween! My all time most favorite holiday EVER! I kicked off my celebration last week and will be doing a ton of FUN new DIY and recipes each week! If you decided to try out any of our Halloween How – To’s be sure to post and tag us on Instagram, Facebook and Twitter! We love seeing your projects! If you are not already, be sure to subscribe to our YouTube channel! We do things there that are not always posted on the blog! In a small pan sauté onions and garlic until onions are translucent. Set aside to cool. In a large mixing bowl, combine ground beef, cooled onions and garlic, eggs, Worcestershire sauce, Dijon Mustard and bread crumbs. Mix together until well combined. Bake, uncovered for 1 hour at 350 degrees or until the internal temperature reaches 160 degrees. Be sure to check out all of our Halloween How To’s!